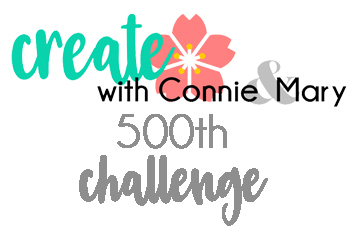 It's Thursday, and that means it's Challenge time again over at www.createwithconnieandmary.com ...but it's not just any challenge, it's actually their 500th Challenge! Pretty amazing, huh? Read on for how you can join in and WIN! 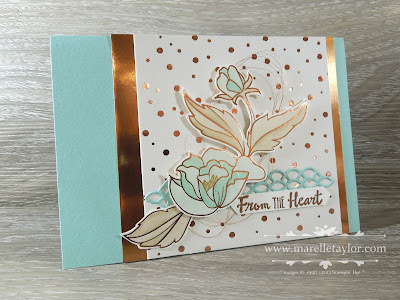 I've been going a little crazy using the Springtime Foils Designer Series Paper...just as well it is free! I stamped the sentiment on this card, but everything else is patterned paper, cardstock and Foil sheets. My colour scheme is Pool Party, White and Copper/Rose Gold. I LOVE these colours together! I've cut out the flower from the DSP and coloured it with my Pool Party and Crumb Cake Blends. 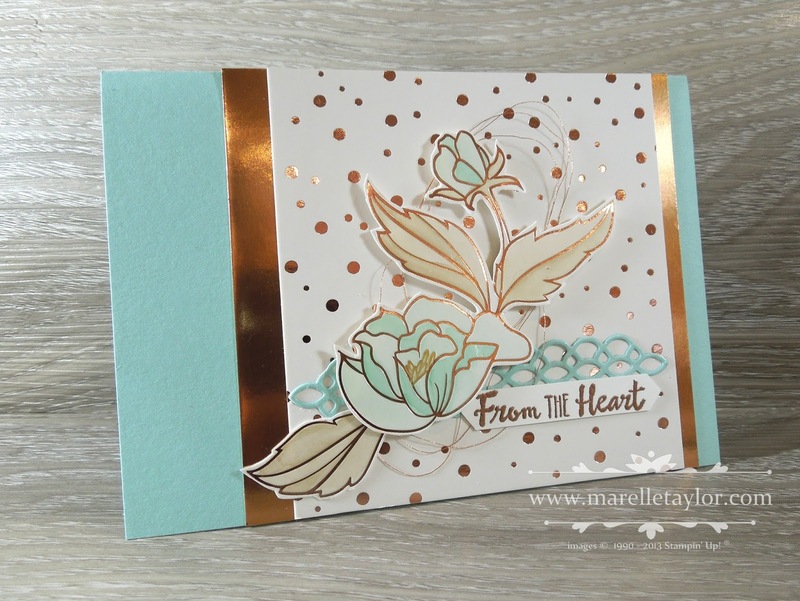 The intricate die cut is from the Petals & More thinlits, and the sentiment is from the co-ordinating Petal Palette stamp set. I've embossed it in Copper, and popped some Copper thread behind. Now, did I mention something about how you can join in and win? Create with Connie and Mary are celebrating their 500th Thursday Challenge with some BLOG CANDY! 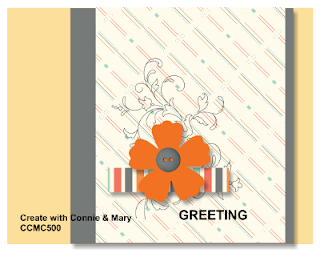 You can win a Create with Connie and Mary Collections PDF tutorial of your choice! You'll need to leave a comment HERE in order to get a chance to win! Want a SECOND CHANCE to win? Create a "party theme" card to help us celebrate and add it to the InLinkz panel. Connie and Mary will choose another winner to get a FREE tutorial from those creations! Winners will be announced on Thursday, March 15th!